*HOT! 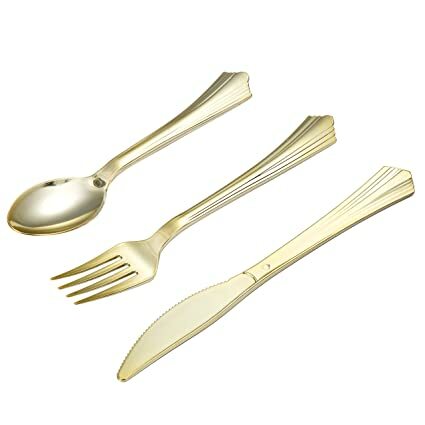 * Amazon – Tbwisher Gold Plastic Silverware, 400 pcs just $13.99 after 50% Code (reg $27.98)! PESACH! Perfect for your Pesach meals! 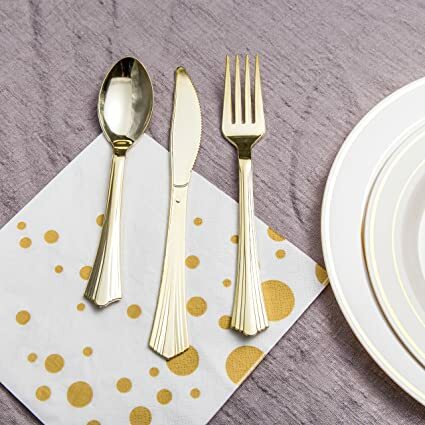 Amazon is offering the Tbwisher Gold Plastic Silverware, 400 pcs Party Supplies Plastic Flatware, Disposable Plastic Cutlery for $27.98 – $13.99 with promo code 28289D5V = just $13.99 with FREE Prime shipping or free shipping with $35 purchase on Amazon! 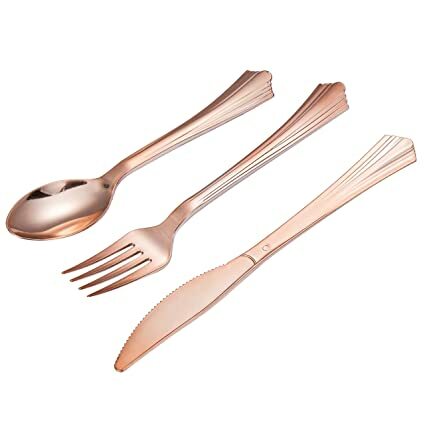 You can ALSO get this in the “Rose Gold” color and there doesn’t appear to be a limit on how many sets you can buy, but you must buy EVERYTHING (Gold and/or Rose Gold) together in the SAME transaction because the code cannot be used more than 1 time!